Nancy has almost 8 years of experience as a professional aesthetician. 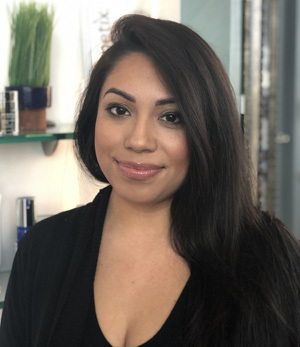 After obtaining her certificate in Laser Aesthetics, she pursued her cosmetology license at Ranger College to allow her to evaluate and work in a broader arena. Nancy currently works as an aesthetician where she concentrates on client’s skin issues and concerns using classic facial techniques, chemical peels, DermaSweep dermal exfoliation and the Fire & Ice Peel. Under the direction of our Nurse Practitioner, Nancy assists in additional skin care such as radio-frequency and microneedling, Nancy is thrilled to work at RejuvaWell where she can get the medical support she needs anytime a more significant dermatological issue is of concern.